Cuba is a mesmerizing country that has a lot to offer to many tourists and travellers. All my friends who were here told me that it is a country to be discovered, not visited. Its culture, its music, even the food have to be discovered and experienced firsthand, and not necessarily on the run. Yes, it is a country of contrasts, but a country with a rich history. 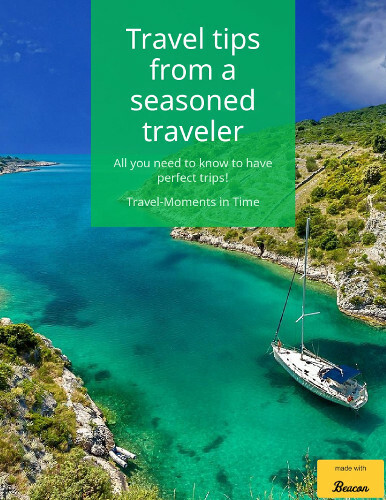 I already presented you some interesting and curious facts about Cuba, and it’s now time to present you Cuba for seniors: special attractions and things to do in this country regardless of the age. A contemporary artist, José Rodríguez Fuster is definitely one that deserves to be discovered. 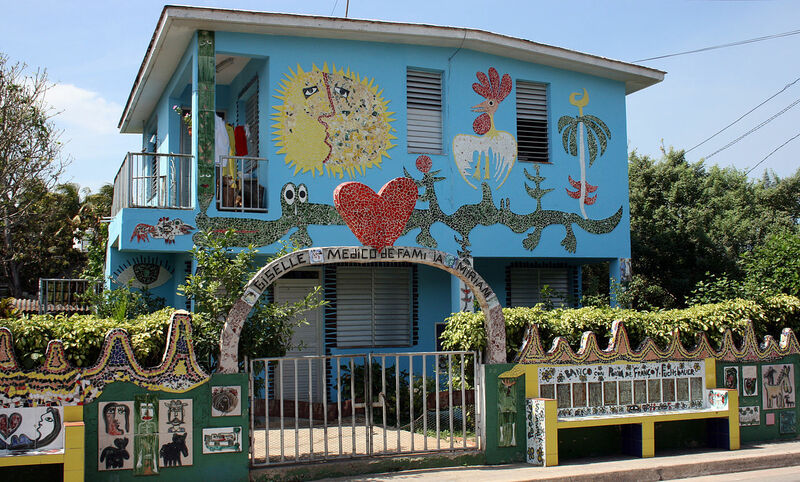 He is called the “Picasso del Caribe”, and yes, he studied the work of Picasso and Gaudi and then started to decorate first his house, then many others from the fishing town of Jaimanitas in the outskirts of Havana, where he lives. Millions of multi-coloured ceramic shards have been used along the years to create impressive mosaic sculptures that catch the eye of any visitor. Photo by Soydcuba on Wikipedia. A UNESCO World Heritage Site, Viñales Valley is considered a “living landscape”, being a place where traditional techniques are still in use for agricultural production, especially for tobacco. The mountains surrounding this valley offer a spectacular view, and you will also be charmed by the wooden houses colourfully painted. In addition, you can the Cueva del Indio, Cave of the Indian in the area as well as the Mogote Dos Hermanas (two sisters.) Here you will be able to admire a 180 meters long and 120 meters high paint on a wall: the Mural de la Prehistoria featuring dinosaurs is famous and deserves a visit. Havana is a must-visit city in Cuba. Yes, it is the touristy destination, but it is also a gate to Cuba in many ways. 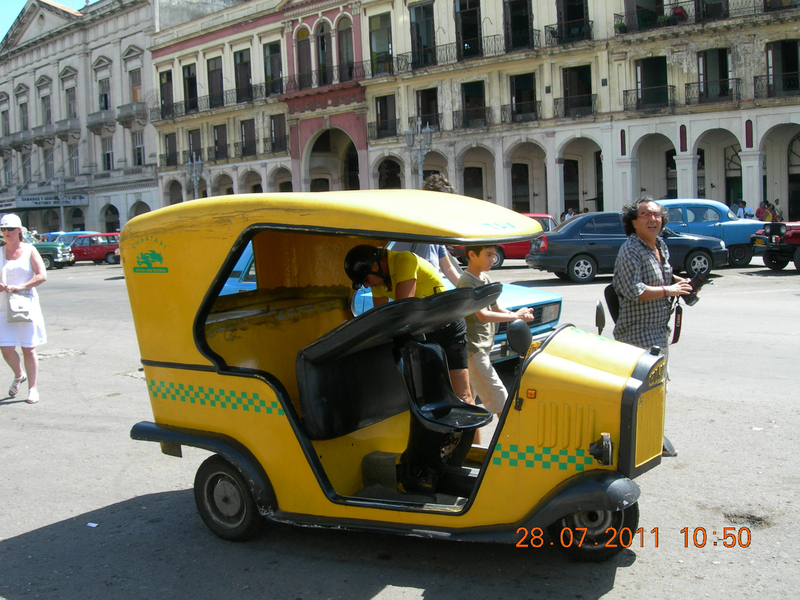 The old Havana is special – and you can see it either by car or on long walks. It concentrates the essence of Cuba – culture, museums, music, food. It is charming, beautiful, warm: like a soul. 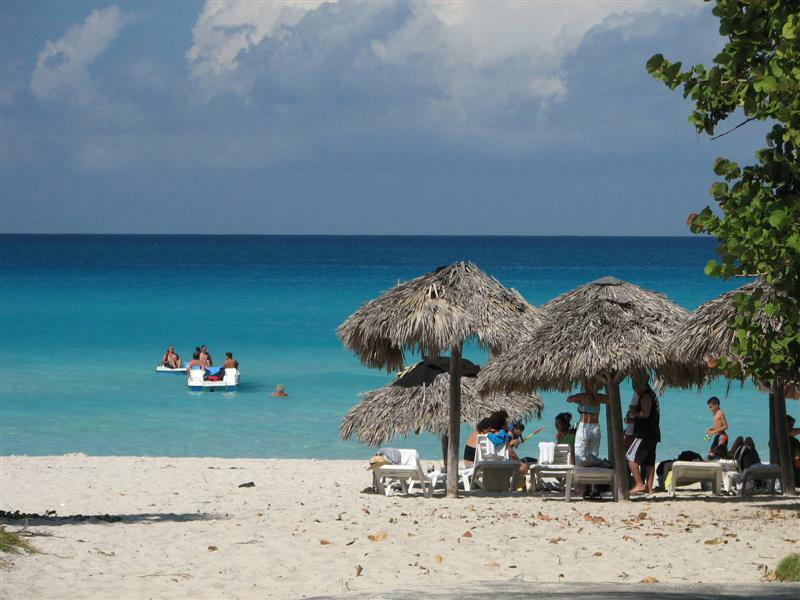 One of the biggest resort areas of Cuba and in the Caribbean, the Varadero peninsula awaits tourist with more than 20 km of white sandy beaches, thus making it popular among both young and senior tourists. Here you will also find natural attractions: caves and a chain of easily accessed virgin cays, and you will be able to explore some of the nearby cities (like Matanzas and Cárdenas) or, if you like water sports, see the facilities the Varadero port offers. When you visit Cuba you should also go to another special area: the Pinar del Río Province. It is considered one of the most beautiful provinces in Cuba and famous for its weird looking mountains called “Mogotes”: rounded limestone mountains covered in lush vegetation. You will also find caves with beautiful underground rivers, stalactites and stalagmites. The cities to visit in the area are Pinar del Río – with museums, a distillery that makes Guayabita del Pinar, a local drink, a Cigar factory and a House of Rom, among others -, and Vinales. Another argument in favour of this province is the huge freeway connecting it to Havana thus making access easy. Cuba is definitely a country to visit and, in order to book a holiday, you can always check the offers from Saga Travel. Cuba is the country that also allows you to explore Hemingway’s haunts: (his house, at Finca La Vigia, the fishing village of Cojimar and his Havana hotel room), that invites you to learn to play dominoes and find out more about the Spanish heritage. It is a country that can be discovered at any age, one that is either loved or disliked.